620BP Ground Clamp For Bare Wire 1/2"- 1"
Topaz’s Zinc Ground Clamps for bare wire afford easy installations and the most secure grounding of bare wire to water pipes or other structural members. Zinc construction designed for use with copper and aluminum wire. 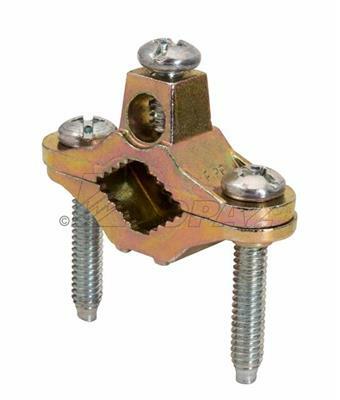 Zinc die cast model is UL listed; rotational movement of clamps permit fast removal when required. Available in zinc or brass plated zinc.